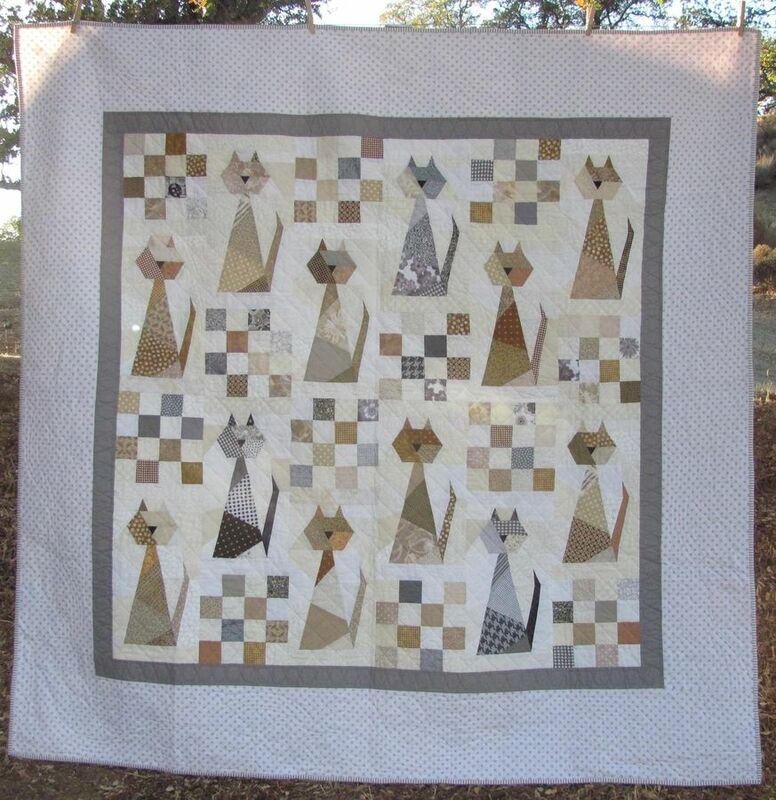 Scrappy Cats is a great way to celebrate your feline and put your scraps to good use. Try using brightly colored scraps, downsize it a bit, and it would be a wonderful baby quilt. This fun and perky quilt requires general quilting knowledge and foundation paper-piecing knowledge. It is an easy quilt to make, as long as you have a moderate knowledge of both. The quilt measures 68" x 68", but could be made any size, by adding rows or subtracting them. Body of cats and Background are All Made From Scraps.